The Centro Evangelico de Medico do Lubango (CEML) is a general hospital that serves the large region of southern Angola; patients come from 250 km away and even from neighboring Namibia to receive treatment. 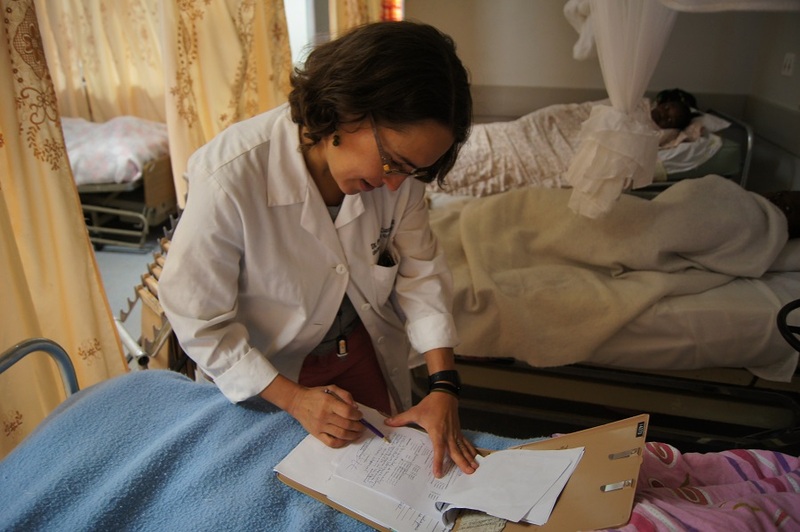 Angola has one of the highest maternal mortality rates in the world with 1 in 29 women dying in childbirth and less than half of births attended by a health care professional. All of these conditions make CEML a critical fistula care center. In an effort to reduce the prevalence of fistula, CEML has partnered with Mission Aviation Fellowship to establish remote rural clinics that are connected to the central hospital via air transport and treat people who otherwise would have no access to health care. This outreach is critical for fistula treatment since most of the women suffering from obstetric fistula live in rural areas and have no knowledge of the nature of their condition or of the existence of a surgical cure. As word spreads through the outreach program of CEML, more and more women are learning about the availability of fistula surgeries in Lubango and are coming to the hospital for treatment. But for every woman who is treated at CEML, there are hundreds more who continue to suffer in isolation in Angola. Our hero at CEML is Dr. Stephen Foster, who built the hospital in 2006 and has expanded his facility, with help from the Fistula Foundation and your donations, to include fistula repairs for 85 women annually since 2009. Dr. Foster was born to a missionary family in Angola and carries on the tradition of missionary surgery to the impoverished with 35 years of experience in fistula repair. He is committed not only to treating as many women as possible, but also to building the capacity for his fellow surgeons at CEML to repair fistulas, both simple and complex. 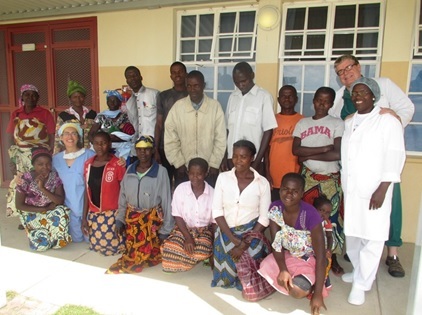 In April 2013, we helped to further Dr. Foster’s goal by sending Dr. Steve Arrowsmith, a renowned fistula surgeon and trainer, to Lubango to provide additional training to Dr. Foster’s staff. In just two weeks, they were able to repair 25 fistulas while simultaneously training new surgeons in the complex art of fistula surgery. CEML is one of our longest-standing partnerships and we are proud to fund their fistula activities, which include outreach to identify fistula patients, transportation for women with fistula, medical costs of surgery, and nutritional support during the patient’s stay at CEML. Dr. Priscilla Cummings makes patient rounds at CEML. of two fistula surgery providers in Angola and the only one in southern Angola. 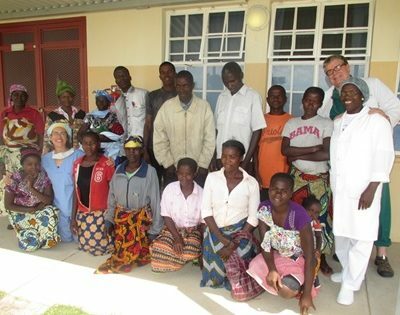 Over the past five years, Fistula Foundation has donated $450,000 to the fistula program at CEML to fund over 400 surgeries, provide transportation and food for fistula patients, and conduct outreach into rural Angola to identify new patients who may have been outcasts for many years because of their condition. With your help, we will continue to support the amazing work of Dr. Foster and his colleagues, who provide much needed fistula care for women in Angola. This article originally appeared in Fistula Foundation’s Fall 2013 newsletter. Click here to view the entire newsletter. ← We’re Top-Rated on GreatNonprofits!